Music performance has two barriers to entry: the understanding level and the skill level. It takes a long time to build skill level, but it’s not that hard to build understanding level. Think piano. Everyone can understand how a piano works; it’s the playing that’s much more difficult. How we can translate what we want to create into the language of the instrument is not dependent on our understanding of what the language is but how to manipulate it. Lumepad takes the skill level and brings it down toward the understanding level, so that anyone can create, regardless of musical experience. 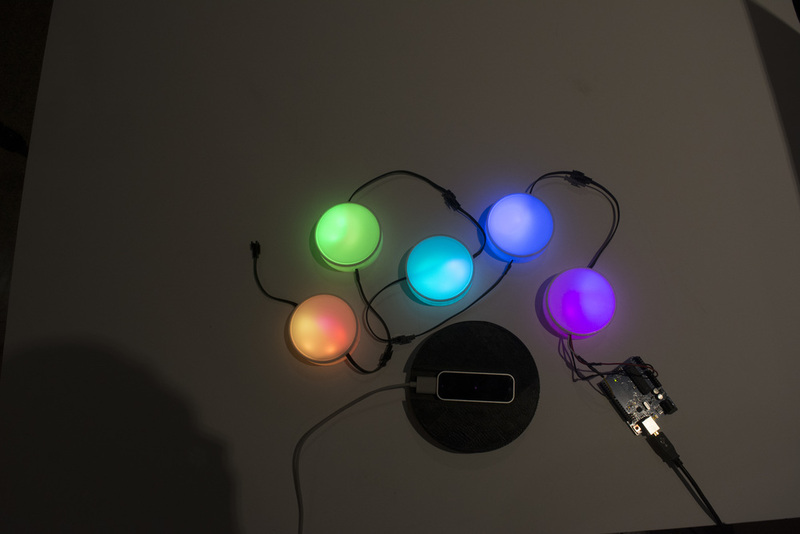 Lumepad is a motion and gesture controlled MIDI controller, inspired by a theremin's ability to relate to the body and a more traditional instrument's ability to play masterfully intricate and still controlled sequences. In designing Lumepad, the main initiative was to create an instrument that could enable the majority of people who love music but have little to no musical talent or experience. To accomplish that, the instrument needed to be simple to play but also complex enough such that if someone wanted to practice, they could keep playing and over time improve their skills. Each pad is created from 3D-printed bases with laser-cut acrylic lids. Inside are strips of addressable LEDs soldered together with JST-SM connectors and leading back to an Arduino Uno. 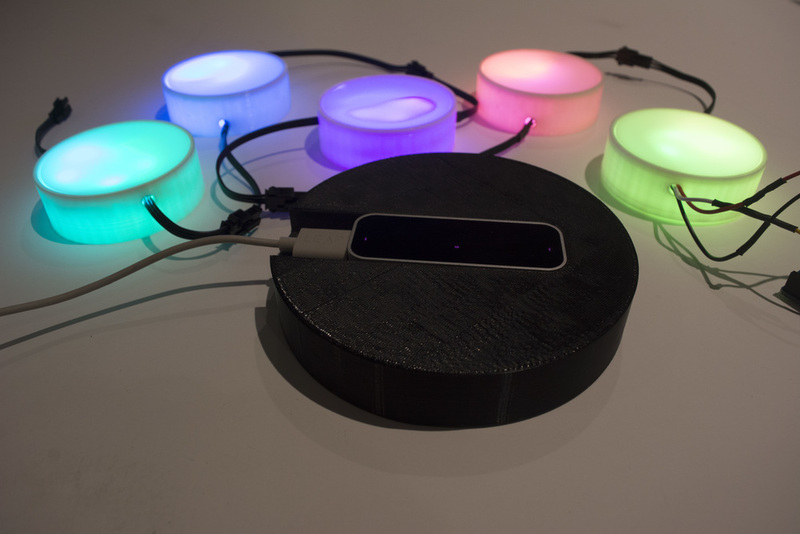 The 3D-printed black base unit holds a Leap Motion sensor.